Click on image for a larger preview. On my way… and Lake Pukaki reveals another mood. This image has me asking the question. How many elements make a successful picture? I count only three, the horizon line, the water depth post and the water and sky are counted as one because they are essentially the same in tone and form. Surely at least two elements are required to hold our interest in an image… although I remain open to be moved by a single element in a story. 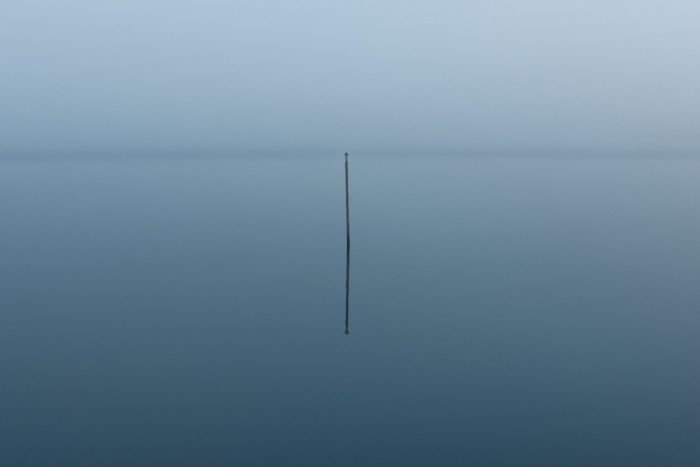 I am drawn to minimal compositions within the landscape. Through our busy lives and even in the natural worlds infinite complexity, simple forms are hard to find.